Multicolored floor tile works brilliant along with a white freestanding tub to create elegance bathroom. 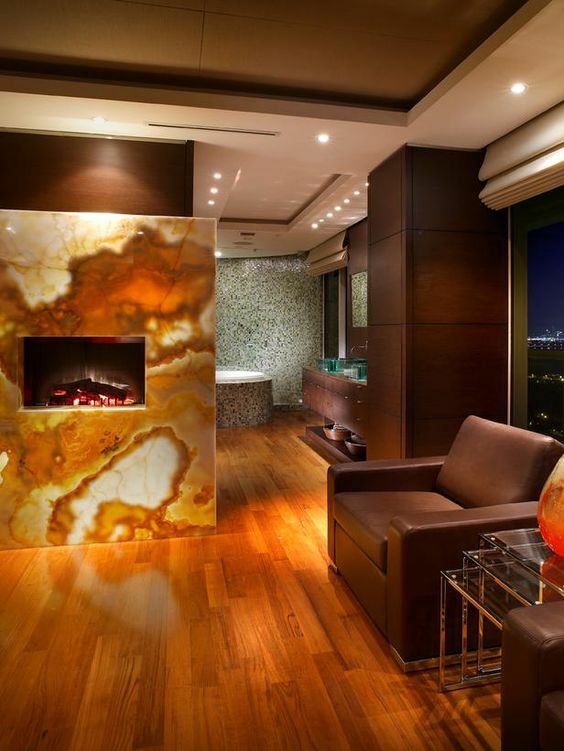 The vocal point comes from honey onyx wall accent. Add natural light to make more wonderful bathroom. This shower room gives you more than you want. With minimalist and simple, it can be applied in a small apartment as well. Moreover, take a look at pattern, color, and texture of onyx wall which lead to modern bathroom decoration. Low level furniture brings this room into luxury appearance. Take a look on onyx wall with fire pit that look gorgeous for a living room design. Here is a modern and artistic living room decoration for you who live in urban area. Imagine how elegance kitchen on your house with onyx counter top become your house vocal point. Simple lighting is enough to improve decoration. Mind-blowing ceiling also create a different view for more personal room. A dreamy bathroom comes with onyx bucket to keep water. With functional and elegance furniture, this bathroom looks more affordable. Have it! One of luxury bathroom designs for any house style. When you want to decorate a dining room in formal look, apply onyx wall will help to add luxury. Add some lantern on the wall is brilliant. Then, a geometric lamp hangs on ceiling keep room’s harmony. Welcome your guest with this extraordinary entryway design! Adding wrought iron door and potted flowers give more natural outdoor design. 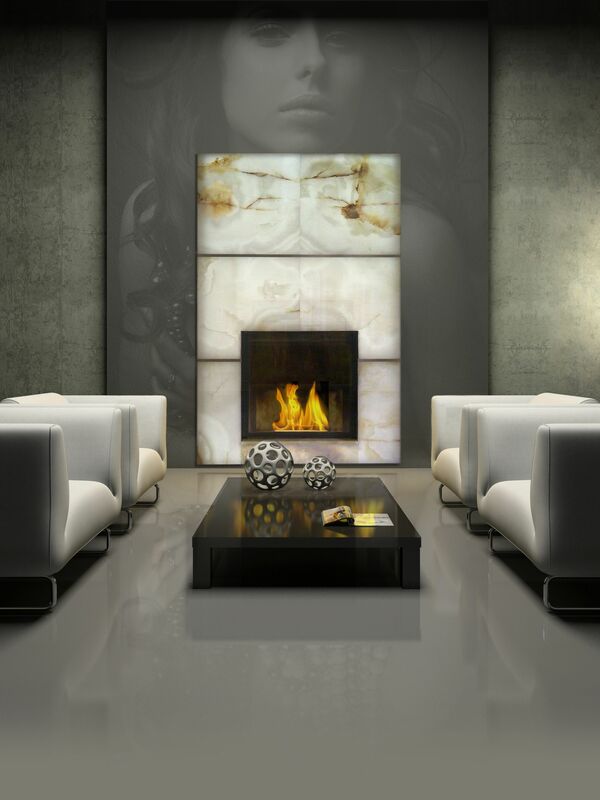 Further, framed backlit onyx panels give a touch of glamour. Have an onyx bar for your room will be look wonderful. It works well with the table surface that has the similar color. So, you will feel how artistic your family bar is. Use onyx as space divider for defining bathroom and master bedroom. Furthermore, take a look at the onyx which shows how elegant your bedroom with the fire place inside.